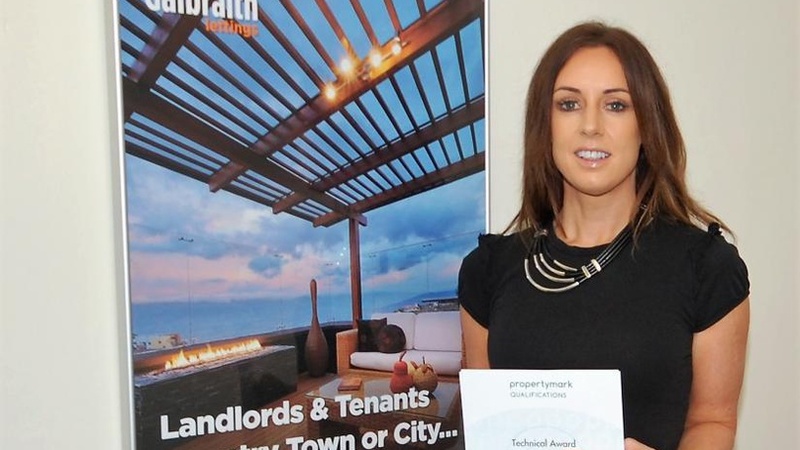 Susan Watson, residential lettings manager for Galbraith in the Scottish Borders, has achieved the National Federation of Property Professionals Level 6 Technical Award in Residential Letting and Property Management. Susan has 11 years' agency experience, in both sales and lettings and is now qualified with the highest industry qualification delivered by the Association of Residential Letting Agents' (ARLA) Propertymark, the UK's foremost professional body for letting agents. It was important for me to undertake this course of study. Firstly, it provides reassurance to tenants and landlords that Galbraith adheres to the highest professional standards. Secondly, the course offers incredibly useful financial, legal and contractual knowledge that I am using on a day-to-day basis. Galbraith is a very supportive company and the firm offers us ongoing training opportunities to reach our potential. We offer everything from studio apartments to large traditional country houses and we are finding that the market is very active at the moment. We regularly find suitable tenants within a day or two of first advertising a property with the main hot-spots being Galashiels, Melrose while scenic rural areas are always popular. There is currently a shortage of supply to meet the continued demand for lettings.